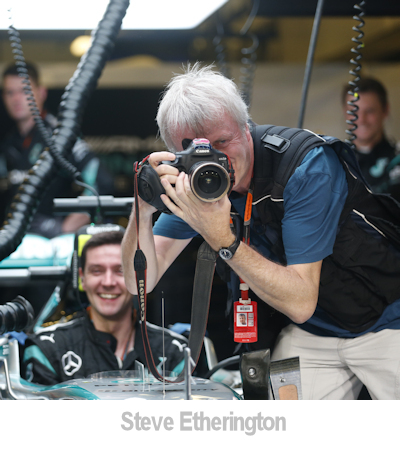 Steve Etherington has covered well over 400 Formula One races in a photography career spanning more than 38 years. Starting at a local paper, Steve always knew he wanted to photograph Formula One and kept this target in his sights as he progressed from general news through to a sports photography agency. 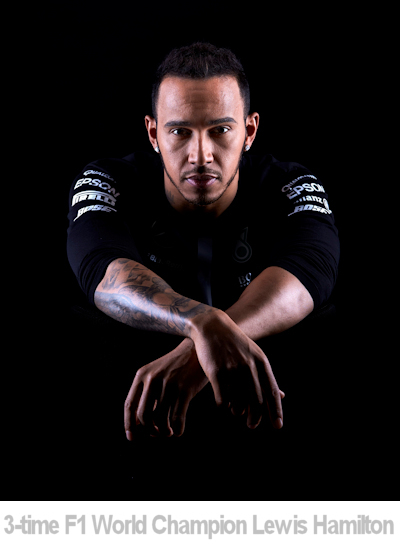 Now Steve is a freelance photographer specializing in F1, travelling to every race and working closely with Mercedes AMG Petronas shooting not only the team and drivers winning world championships, but also behind-the-scenes imagery in the garage and back at their UK bases. In our interview Steve tells us about his career and what it’s like to work in the Formula One world. I had an aunt who travelled quite a lot back in the 60s. She always took a half-decent camera with her and on her return would set up a projector and screen and show us her images. I was only about five or six at the time but it made a big impression on me and by the age of seven or eight I was picking up any cameras we had at home and taking photographs. I ended up setting up a darkroom, processing and printing black and white films, even processing E4 as it was then, Ektachrome films and printing them on to Cibachrome paper. Looking back, how do you think a formal photography education made a difference to your work today? I think it made a massive difference. At the time I didn’t realize this was the case. I had a good idea where I was heading in photography and thought that being taught how to light a still life subject and then photograph it with a 5 x 4 camera wasn’t that relevant, but it actually gave me a good grounding for some of the photography I do now, such as lighting and photographing a mainly black Formula One engine. It’s something I usually do once a year and it involves techniques to show detail in some shadow areas but also hide parts of the engine so we don’t give away any technical information that could be useful to a competitor. Admittedly things have changed a lot since I was at college but the overall background knowledge gained there has greatly helped. I would encourage anybody thinking of going into photography as a career to enroll on one of the vast range of courses out there now. How did you get your break to becoming a professional photographer? I was lucky in that I had a clear idea of what I wanted to do for a living and a job came up on my local newspaper for a junior photographer. I applied and got the job and within months I was photographing Nottingham Forest during their European Cup heydays. Again, without realizing, the variety of work I had to do on a weekly newspaper gave me valuable experience for later on. The newspaper also sponsored me through the NCTJ course at Richmond College in Sheffield. 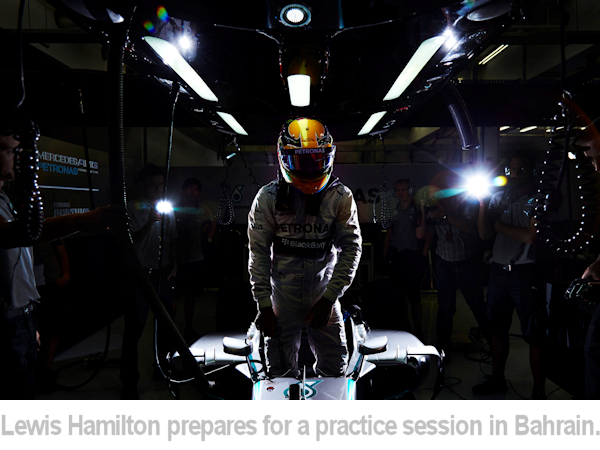 Working with a top F1 team with privileged access must be the pinnacle of motorsports photography. What pressure does that bring to your work behind the camera? There is a certain amount of pressure that comes with the job. Obviously working with a top and successful team means the workload is quite high. Sponsors want to associate themselves with a winning team and demand a high standard of photography and normally, in the real world, they have complete control of a photo shoot working in a studio with models. We often have to work to a brief from the sponsors during a race weekend. This has to be managed without interfering with the running of the cars which is determined by the on-track race engineers. The car is only completely built literally seconds before it leaves the garage. So a lot of photography happens in that short window. People in Formula One tend to be highly driven people so you are expected to work long hours and have a consistently high quality of photography. How does knowing the drivers help your work? It’s a working relationship that is built up over time. Working with somebody on a day-to-day basis requires understanding and trust on both sides. I know when to approach a driver and more importantly when not to. I have an understanding of how they want their image to be portrayed and I work to achieve that. At the end of the day they have their job to do, drive a car, win races, and I have my job to do as well. So there’s often a compromise with the photography but usually we end up with an image that everyone is happy with. There must be a pack of photographers who want your place inside that F1 garage. Why do you think you are so successful and stay at the top? It’s difficult for me to say really but I don’t take anything for granted. I try and come with something different when I can and also fitting into the team and working as part of that team is essential. Like most jobs you have to earn the respect of the people you work with no matter how long you have been on the scene in Formula One. Do you have a team who deal with the day-to-day running of your business? Do you work alone or do you have other photographers? I don’t employ anybody on a full-time basis but I do have regular people who I use as freelance assistants depending on the work I’m doing. I believe consistency and trust is important. The people I use are very experienced and know what they are doing without me having to instruct them all the time. Most of the photographers in Formula One have been around for a long time and we all know each other quite well. This helps with small things like saving a space on a start tower so I can photograph the grid but still get a reasonable angle on the start of the race. 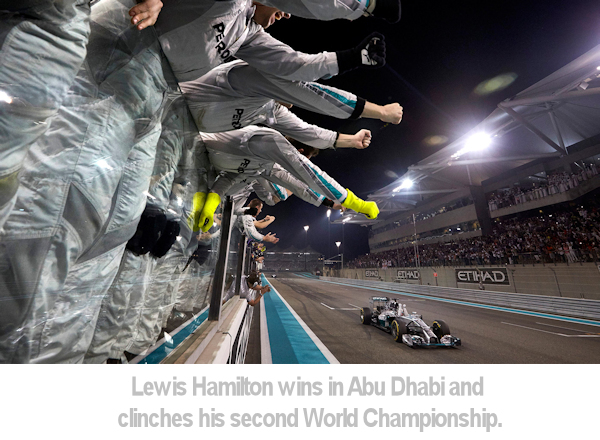 How has the media world surrounding F1 changed throughout your career? Massively. On the photographic side when I started we could walk in to pretty much any garage and photograph the drivers. Now obviously that’s not the case. There were hardly any fences around the circuits so we could photograph from where we liked, now we are restricted to “photo holes” in the fences, meaning we all end up with a similar angle. Most of these things are done for safety reasons and at the end of the day it’s the same for all of us out there. Newspapers and magazines dominated media output when I first started. Now social media is the key tool for connecting to fans. I think that’s probably the biggest change in the last few years, but nothing stays the same, and progress in general is good. Television and radio are still the bedrock of media coverage in the sport. What's the one thing about your job you love and the one thing you really don't like? There are lots of things I like about my job, but most have a flip side. For instance I like travel but don’t always like the process of travelling. Obtaining visas for different countries can be frustrating and expensive and going through airport security constantly isn’t fun. However one of the best things for me is that we tend to is follow the summer around the world. I love the start of a race where anything can happen. The excitement of that moment hasn’t diminished even though I’ve seen it over 450 times. The thrill of getting a good shunt photograph is such a great feeling, however if you see the shunt and miss the picture it will ruin your day if not week. You are away from home a lot throughout the year, how do you cope with that? We are away a lot but mainly in short spells. A short haul race usually is a trip of 5 days and a long haul is usually a week. Back to back long hauls are obviously 2 weeks but overall the travel is broken up into lots of small trips. The longest time away from home for me was 5 weeks when I was covering Formula One and Indy Car Racing at the same time. That was quite tough. Your work is not just about the race weekend. What other types of work/photography are you doing the rest of the week? Running your own business means doing the same things as everyone else who runs their own business, accounts, VAT and invoicing but one of the most time consuming elements is planning the travel for the season. Flights, hotels, hire cars and airport parking all have to be booked for all of the 20 races, pre-season tests and in-season tests along with organizing visas so we can get into certain countries when we arrive. Along with the business side I’m often down at the Mercedes factory in Brackley photographing something or someone for a sponsor. One of the great sides to the job is the variety of photography that is carried out. I am asked to cover everything from a Royal visit to the factory to prize winners being given a tour of the race bays, or photographing one of the laser cutting tools in action in a darkened room to producing images from within one of the paint shop bays as the cars get their livery applied. Many photographers have a huge social media presence yet you seem to have none at all. Why is that? I do have a social media presence although I don’t do it myself. My images appear on driver social media accounts, team, sponsors and specialist magazine social media outlets. Maybe that will change in the future but at the moment they are seen by millions of people, far more than if I did it myself. 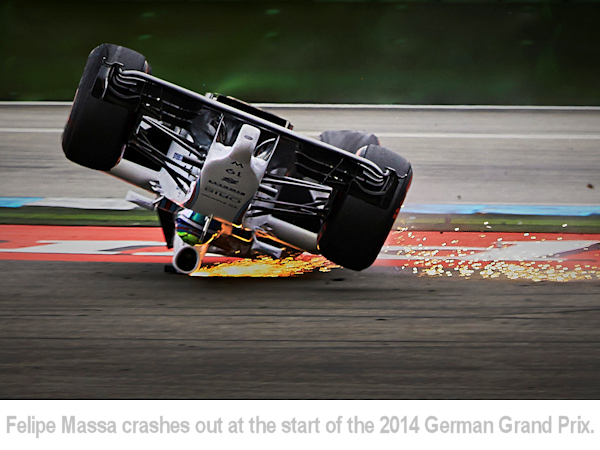 During your time with a camera in your hands you must have shot every possible angle of an f1 driver or car. How do you keep your work fresh and your mind interested in all things motorsport? "I love the start of a race where anything can happen. " I don’t think it’s possible to shoot every single angle even if you are photographing F1 cars day-in-day-out as we are. There is always something different. 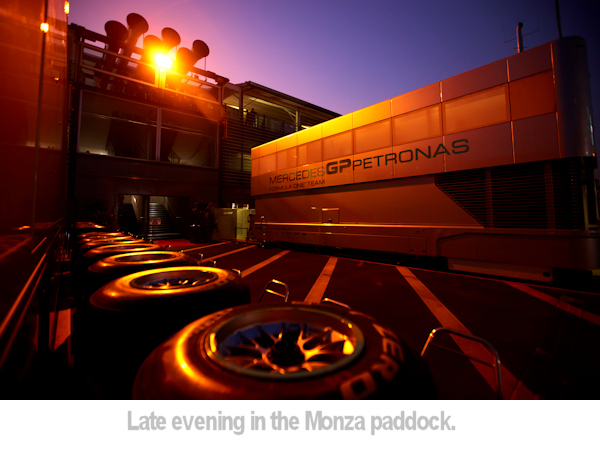 Light and conditions change, the venues obviously change every race and even the cars change and evolve over the year. We just have to go out there and find a different take on it. It’s part of the job to keep abreast of what is going on within Formula One but on top of that I have a passion for photography and will often visit photographic exhibitions, historical or contemporary to expose myself to different styles of photography. I think this helps keep me fresh and have a less “blinkered” view on the type of work we do. Video grows ever stronger as a regular medium for reporting current news and events. Where do you see filming impacting on your work? Do you do any filming yourself? 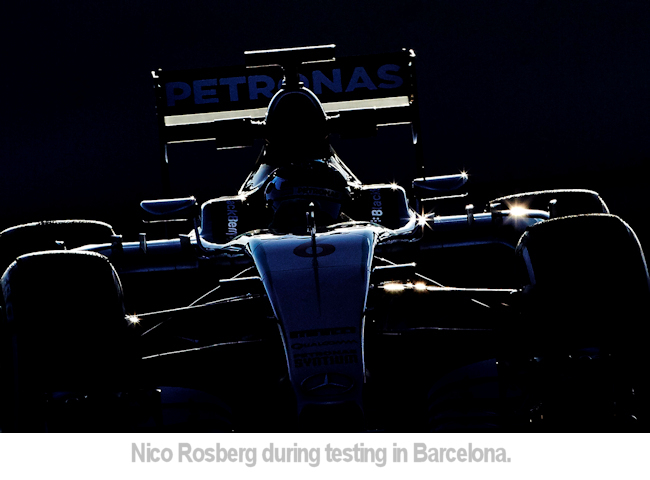 In Formula One there are very strict regulations on who can film within a circuit. We are issued a pass for still photography and would have that pass withdrawn if we abused the conditions. So no, I have never considered doing any filming. What was the best piece of professional advice you were given? I don’t know who actually said this but I suppose the old adage of “you are only as good as your last photograph” still rings true today. As a professional you have to have a high level of consistency to your work. What advice would you give to someone who wants to break in to the world of motorsport photography? Well it’s not easy but also it’s not impossible. To start with I would suggest attending local races where accreditation isn’t a problem to build up a folio of images. Talk to the other photographers and get a feel for the sport. This will help establish if you really like what you are doing. It’s not all about sitting on a yacht in Monaco, more about standing in a cold rainy Silverstone pit lane with no light in February. Then maybe make an approach to a photographic agency such as LAT or Getty. They may be able to offer you some work experience to help you along the way. You will have the opportunity to see other photographers work and more importantly see their work and learn from what they are doing. Any foot in any door helps. Do you still get excited when you take a great photograph? Yes. If I didn’t get excited I would know it’s time to stop. Is there one Steve Etherington image that defines your career or you are most proud? Not really one image and I think that is how it should be. You should have a decent body of work behind you that establishes you as a motorsport photographer and not be known as the person who got that one famous image. All images © Steve Etherington and used with permission.